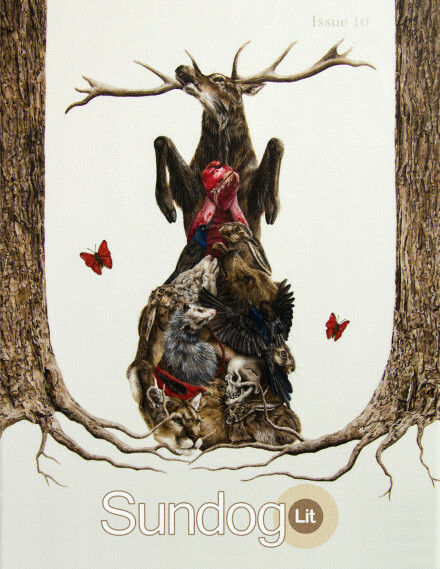 Literary journal, Sundog Lit, recently published my work on the cover of their latest issue. My painting, The Sum of Its Parts, is featured on Issue 10, available now. More details can be found online here: https://sundoglit.com/2016/03/11/issue-10/. I’m happy to announce that my work is currently featured on the cover and inside of Fourteen Hills: The San Francisco State University Review’s Fall issue 22.1. As seen on the cover is Equal, acrylic on canvas, 14″ wide by 11″ high. Details to their release party in San Francisco on December 15th can be found here: http://14hills.net/content/221-release-party. 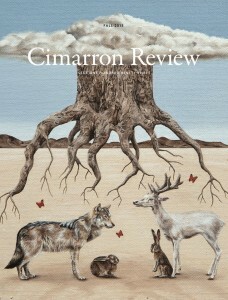 I’m pleased to announce that my work is currently featured on the front and back covers of the Cimarron Review. 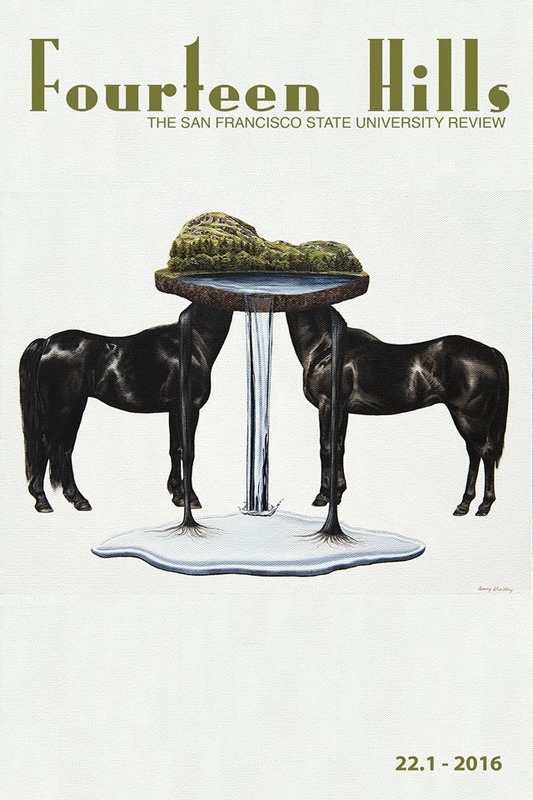 My painting Shelter is on the front and Expatriate is on the back. 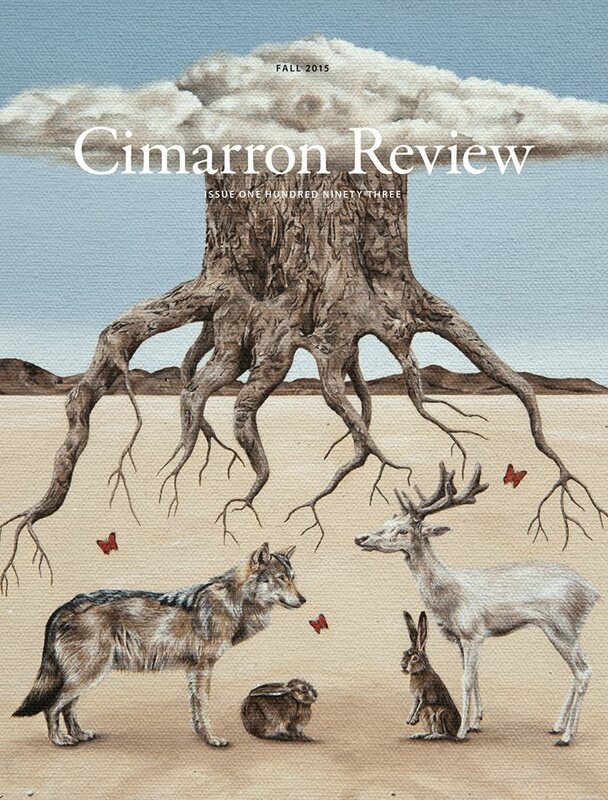 The Fall 2015 issue, #193, is available online: http://cimarronreview.com/issue-193-fall-2015/. 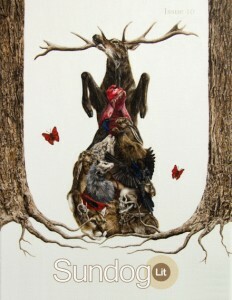 My painting Symbiotic has received some more attention as of late. 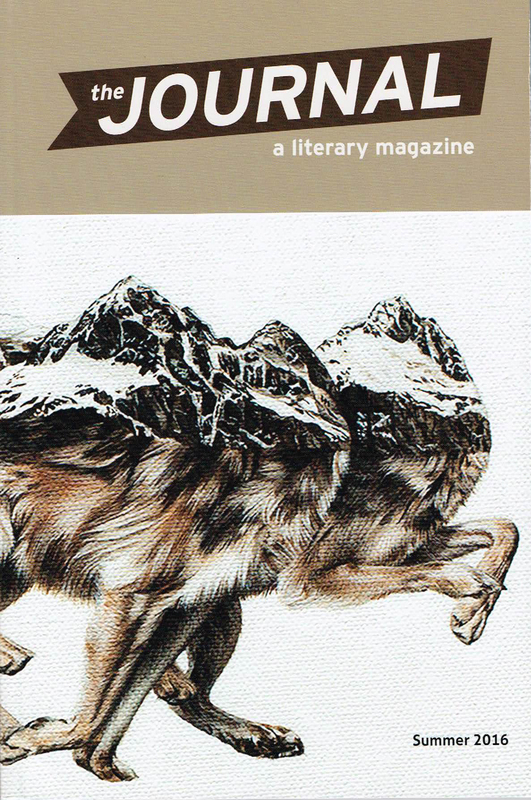 It was recently selected for publication in Line Zero’s Winter 2012 issue- Volume 2, Issue 2. 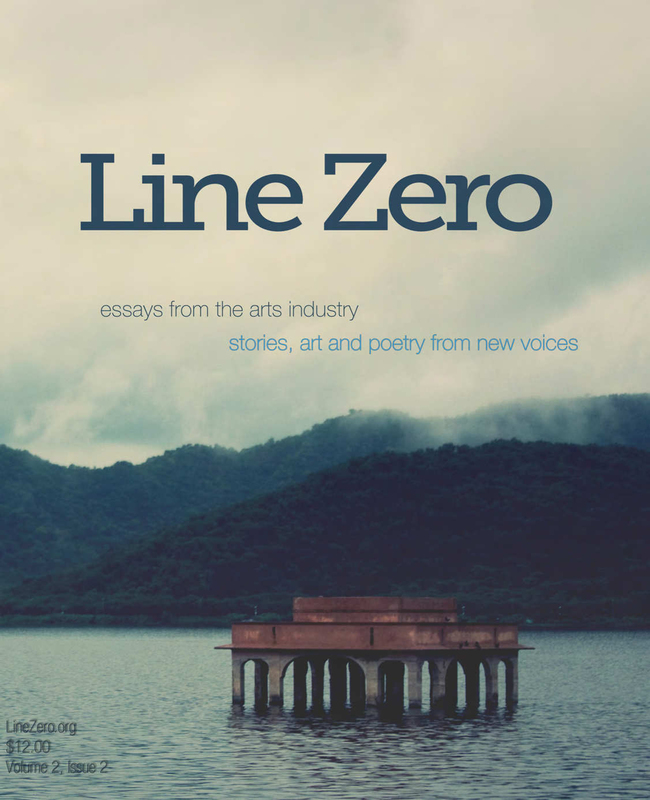 Line Zero is a quarterly indie arts and literature publication based out of Seattle featuring editorial essays on art, writing, music, photography, book reviews, and art events. 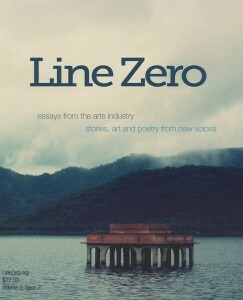 The Winter 2012 issue is now available via their website at this direct link: http://linezero.org/volume-2-issue-2/. CALYX Journal- Summer Edition is Out! I had a delightful surprise arrive in the mail the other day. 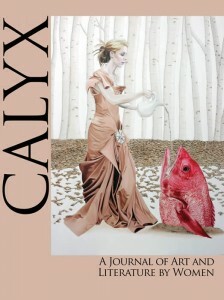 My copies of the CALYX Journal featuring my work on the cover arrived! I’m honored to be the cover artist for their 35th Anniversary- Special Expanded edition, and not only that, but my work is on the inside as well. 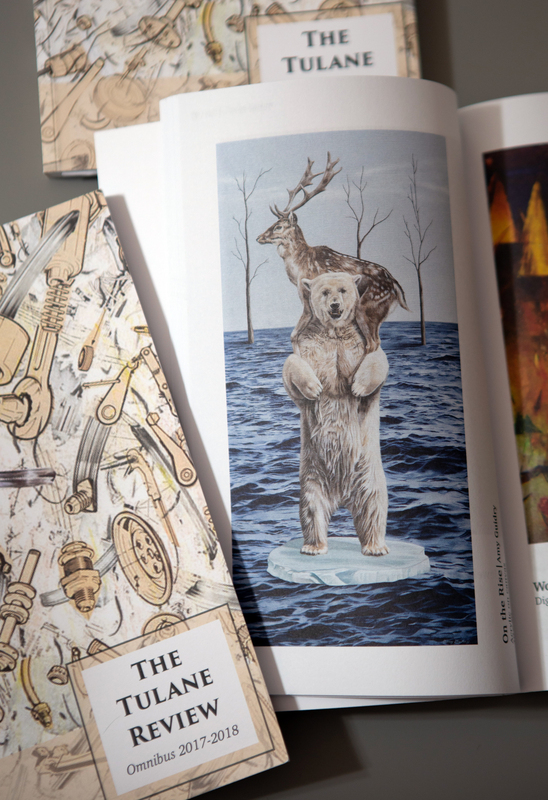 My painting “Adaptation” is on the cover and “Freedom” is on page 65. Both paintings are from my “New Realm” series which is a modern and surreal spin on fairytales in which the woman is the heroine, not the victim. 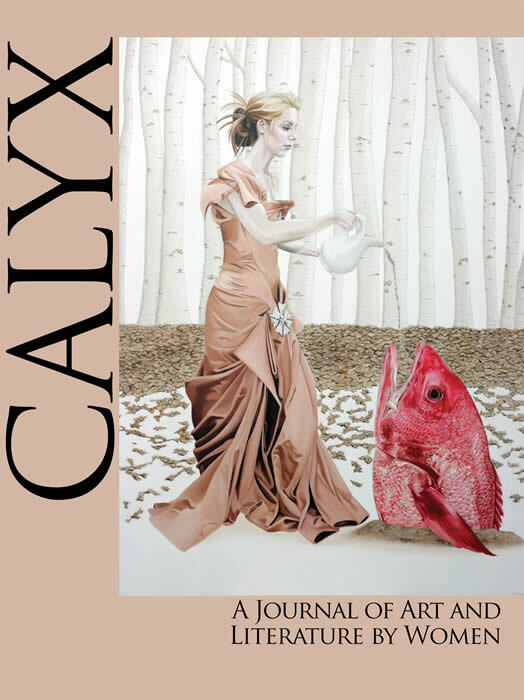 The CALYX Journal is comprised of art and literature by women, including poetry, photography, paintings, short stories, essays, and reviews. They were also the first in the U.S. to publish Frida Kahlo’s (one of my Surrealist heroes) works in color. The Summer edition, Volume 26 Number 3 featuring is available now online at www.calyxpress.org/journal.html. And for more information on my work, as well as other paintings, visit www.AmyGuidry.com.